Rakesh Verma's first foray into entrepreneurship lacked direction, so he changed tack. Today, MapmyIndia is part of the new business mosaic that he has successfully navigated. Success is not always the result of finding a new path. Sometimes, the existing route can turn out to be the path to prosperity, provided you can map it well-and mark it for others. "The greatest challenge has been to build a space that didn't exist and make it useful for everyone," says Rakesh Verma, founder, MapmyIndia, the Internet portal and GPS navigation system that represents a veritable Ariadne's thread for travellers. Of course, maps existed before Verma's digital version came along, but they often lacked details or were too complicated. MapmyIndia's easy-to-follow directions from point A to point B have made it India's dominant GPS system. It isn't Verma's first venture, but is certainly the most important marker in his career. He didn't have a clear entrepreneurial vision when he began working. After an engineering degree, he joined as a probationary officer at a Bank of India branch in Patna, and stayed on for six years. The job helped in one way-in getting an education loan when he decided to study for an MBA degree in the US, in 1978. In 1980, Verma joined a start-up formed to help people conserve oil to tackle the crude oil crisis. But within a year the crisis was over and the company was barely afloat. So he joined a project launched by General Motors to build a concept car. "I learnt how to work both for a start-up that had very little and a new business that had billions worth of funding," he says. Verma returned to India in 1990, bought a house in Delhi and began working as a general manager with a PSU in the capital. Soon, he was disappointed by the bureaucratic red tape and quit in 1992. That's when he decided to utilise his wife's training. He wrote to Tisco (now Tata Steel) boss Russi Modi to design software for their IBM mainframe. The next day he got a call, and within a week, the couple was in Jamshedpur. Though they had seven days to complete the pilot project, they finished it in a day. "Tisco promptly offered us a contract, but couldn't pay us as we didn't even have a company," chuckles Verma. He finally decided to hitch the horse, now that the cart was in place, and formed CE Infosystems in 1992. Soon, they had a second project, this time from IBM itself. By 1994-95, their turnover was Rs 50 lakh. The only downside was the amount of travel that the work entailed. "Our main focus was kids (a teenaged daughter and a younger son), so we decided to shun other projects and almost shut down the business. This was a big mistake. We should have delegated, but didn't know how to do so," he says. While working on the IBM project, Verma had come across digital map-making. His fascination with GIS made him decide to launch it in India. Wasn't it risky to take to an uncharted field? "There are two risks: financial and professional. I wasn't worried about my career because I had good skills and experience. For the financial part, I had a roof over my head," he says. Of course, the Rs 50 lakh that he had made from CE Infosystems came in handy. In 1994-95, Verma began mapping India and hired engineers to do the groundwork. "Accuracy wasn't a major concern as the mapping was for visual display, and compared with today's technology, the methods were almost crude," he says. His first client was Coca-Cola, which wanted to demarcate territories for its bottlers. "To date, it's our largest customer," avers Verma. 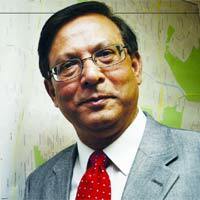 In 1996, he started a project for Essar to decide where cellphone towers should be located. In 1999, the company received its first VC funding worth Rs 5 crore from Kleiner Perkins, whose only condition was that it have an Internet portal. It seemed like a good idea, but the dotcom bubble burst soon after, and Verma became wary. By January 2004, however, the technology for mapping had improved and Yahoo! Maps and MapQuest were the main players. So, in August, Verma launched MapmyIndia. "For the first two years, we learnt what it was all about," says Verma. In 2007, he decided to focus on the consumer end of the business. "At present, big firms constitute 60% of our business, but in another two-three years, it will be skewed 70% towards retail consumers," he adds. Though GPS for cars was a growing market internationally, no one seemed inclined to enter India. Verma waited till August 2007 and then decided to step in. "Presently, we are concentrating on a niche market. It will become viable for the mass market only by 2011," says Verma. Of course, with Qualcomm looking to buy a stake in MapmyIndia (talks are on at the moment), this could be sooner, rather than later. Verma's next goal is to make MapmyIndia accessible through voice and print. "We are keen to start a customer care network, where you can call a number and get directions," explains Verma. He has set his sights on an annual turnover of Rs 100 crore. Does he have a roadmap to get there? It seems more than likely! 1. Keep your eye on the goal. Focus on the one thing you want to do rather than juggling ten things simultaneously. 2. Learn from other people’s mistakes. Repeating them yourself can extract a high cost. 3. Trust your employees and make sure they grow. That makes it easier to delegate work when necessary.